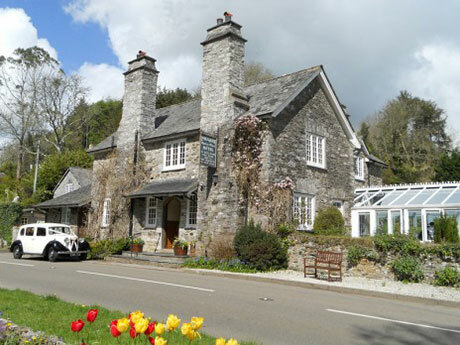 Beautiful gardens and spacious fully licensed hotel style facilities including a car park, bar, guest lounge and picnic conservatory make Polraen Country House more than just another bed and breakfast near Looe. Sleep peacefully on deep mattresses in double, twin and family rooms and enjoy one of Looe's best bed and breakfast experiences. 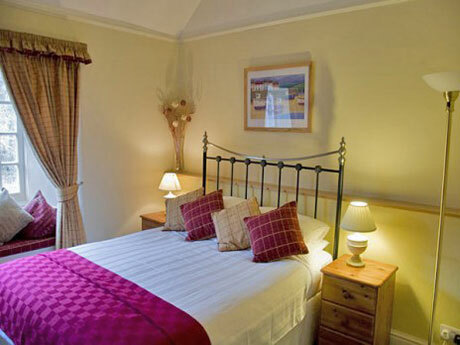 All rooms are ensuite blending modern well equipped facilities with the period charm of cushioned window seats looking out to the Looe Valley countryside beyond. Peaceful - there are no seagulls here in the Looe Valley 2 miles from town! Just the occasional hoot of an owl or cough of a pheasant. 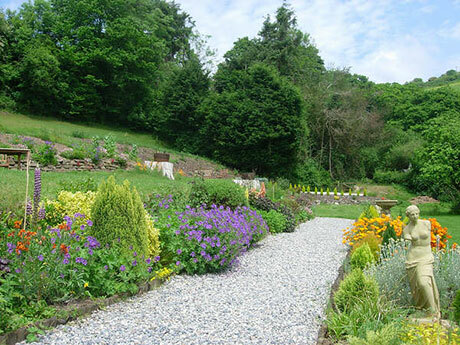 Few Looe hotels or bed and breakfast accommodation offer such a relaxing stress free touring base, yet for those who want to stay local, or explore without a car, you can reach Looe in minutes on the bus or scenic train. 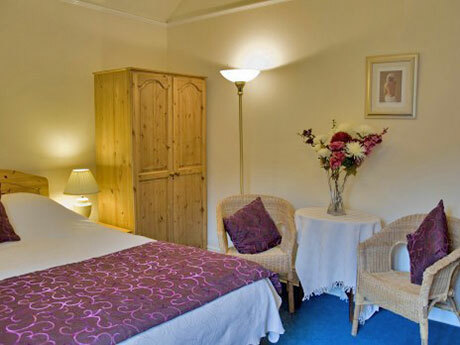 With all rooms on the first floor, Polraen is suitable for those with restricted mobility who can manage one flight of stairs and we welcome children. Our breakfast menu is sourced from the highest quality local Cornish produce. Healthy options include seasonal berries, cereals and yoghurts. Cooked breakfast ranges from the Traditional Full English to Eggs Benedict or Smoked Kippers. 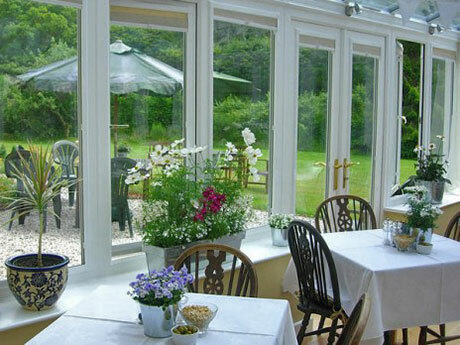 In the evening, we assist with restaurant reservations or you can eat in our Picnic Conservatory. We supply crockery, glassware and cutlery while you bring your own picnic/takeaway and we'll do the washing up! Helps your holiday budget stretch further. Read our reviews! Our long standing reputation for warm hospitality has earned us several awards over the past 17 years including the AA rating of 4 Gold Star Guest Accommodation and the coveted Tripadvisor 'Hall of Fame' recognition and 'Certificates of Excellence' for the past 7 years. Our best online rates are guaranteed to be the lowest only when you check availability and book via the safe secure booking system on the Polraen website or by calling us on 01503 263956. Rates are higher through online travel agents. 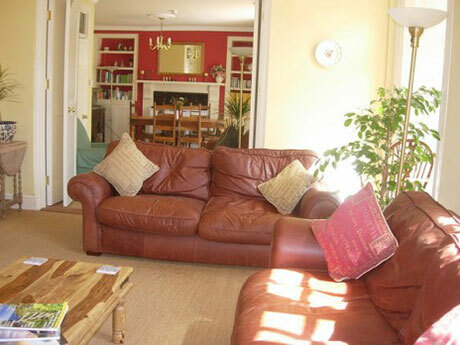 Special Spring Offer: Spend 3 nights for 2 in March & April from £99 pp.